Since I’ve been posting a lot of photos from my recent trips, I thought it might be a good idea to post something from earlier this year. 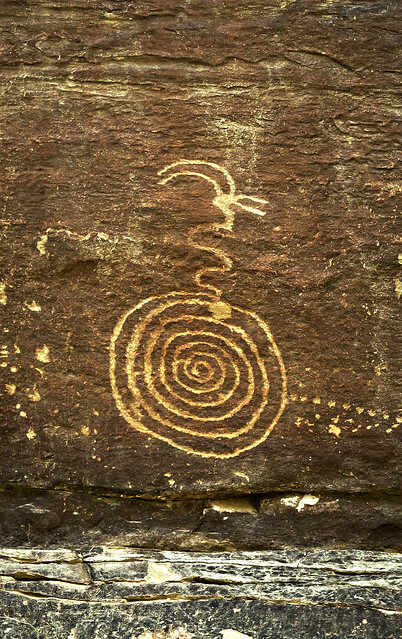 This is one of my favorite horned-snake petroglyphs found in Nine Mile Canyon. This one is part of the Family Panel, which we visited back in May of this year.